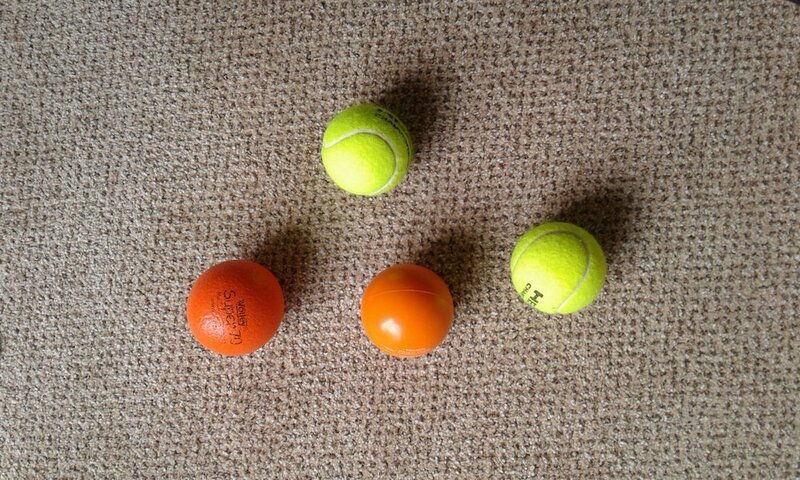 A very simple, but extremely effective therapy for movement recovery and progressive symptom reduction in Parkinson's Disease is to incorporate playing with balls of various sizes, types and textures. The hand-eye co-ordination and sensory feedback provided through balls games seems to open up access to movement considerably well, presumably because it brings in other pathways and regions of the brain in to help. I can say for sure that incorporating balls into exercise and movement recovery programmes is a technique which has been a most impactful intervention, at least for myself. While it really is as simple as bouncing a ball, what I believe I am fine tuning here is how optimize the effectiveness. For myself, when I started playing with balls, this represented an enormous, game-changing breakthrough, in particular because it allowed me to prove to myself that my brain can indeed still move my body when it wants to, and therefore there is nothing inherently permanently broken either with my central nervous system nor muscled/motor neurons. I hope that others will find ways to use simple bouncing ball techniques, and curiosity and play with balls, to get as much relief from their symptoms as I have. for further details of my own journey. Therefore, I now recommend not touching rubber balls with bare hands, just in case of latex sensitivity, and to wear gloves while playing with them as a precautionary measure.